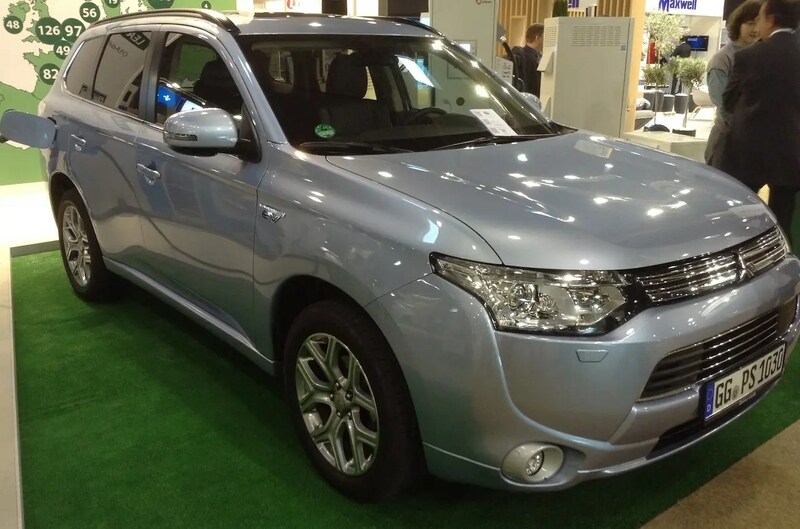 It’s been four years since the Mitsubishi Outlander PHEV first debuted as a concept car, and two years since sales of the plug-in hybrid SUV began in Japan in Europe. But Americans will have to wait at least one more year before the Mitsubishi Outlander PHEV goes on sale here, reports Automotive News. Mitsubishi executives had been insistent that after at least two previous delays, the Outlander PHEV would go on sale here in the US in the fall of 2015, following a refresh that will better appeal to American tastes. A new look for the Outlander is supposed to debut in June, with the PHEV version following shortly thereafter, but it appears the plug-in hybrid version has been pushed back until at least the second quarter of 2016. But why? To be sure, the Outlander PHEV is racking up huge sales in Europe, becoming the best-selling plug-in in the UK and soaring past 33,000 units sold in its first year of sales. It seems like a verifiable hit in the Old World, so why is Mitsubishi pushing back its American debut yet again? One issue had been production bottleneck of the lithium-ion batteries, and there were concerns that the interior quality and materials might not meet American expectations. Two years into production, though, and you’d think that Mitsubishi would have figured these things out by now. Mitsubishi could have easily been the first to market with a plug-in SUV in America, but now the Outlander PHEV is going to run up against a lot of competitors, including the Tesla Model X, BMW X5 eDrive, and the Audi Q7 e-Tron. Then again, the delay could be part of a master strategy, holding one’s trump cars until the American public has well and truly embraced plug-in cars. After the sales debacle that was the i-MiEV, perhaps Mitsu has taken a more cautious approach to this new market. History favors the bold though, and the Outlander PHEV is a bold statement that most Americans still don’t know about, and that’s just a crying shame.